Miley Cyrus turns Green Giant over a bowl of sweetcorn. Anything you're trying to tell us here? 5. 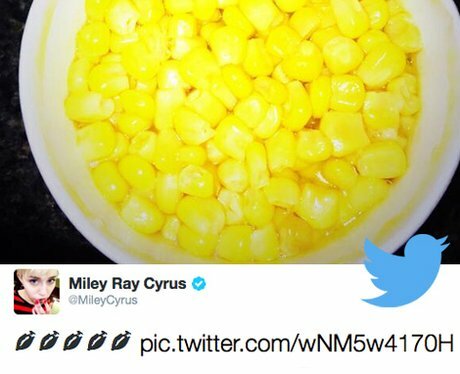 Miley Cyrus turns Green Giant over a bowl of sweetcorn. Anything you're trying to tell us here?